Propolis is a resinous substance collected by honeybees from buds and leaves of trees and plants, mixing with pollen as well as enzymes secreted by bees. It is used by bees as a glue, general-purpose sealer, and draught extruder for beehives. Propolis contains a wide variability of active principles (flavonoids and phenolic acids). Variations in the chemical composition of propolis are mainly assigned to the difference in the preferred regional plants visited by honeybees. Flavonoid and esters of phenolic acids are generally regarded to be responsible for the antimicrobial activity of propolis. The aim of the present study was to investigate the antibacterial activity of propolis samples collected from 5 counties in Transylvania (Romania) against different bacterial strains: three Gram-positive bacteria (Staphylococcus aureus, Bacillus cereus, Listeria monocytogenes), two Gram-negative bacteria (Escherichia coli, Pseudomonas aeruginosa) and, also different bacteria responsible for different bee diseases. The methodology used for the determination was agar diffusion technique. Enroxil was used as positive control and alcohol as negative control. The tested ethanolic propolis extracts are rich sources of polyphenolic substances (high amounts of phenolic acids and flavonoids were quantified in the samples) and show a good antibacterial activity against Gram-positive bacteria. As for the Gram-negative bacteria the results obtained are very different. It can be concluded that a positive correlation exists between antibacterial activity and the content of polyphenols and, also between antibacterial activity of extracts and some specific compounds from propolis. ISNAD DOMOKOS, Erzsébet-Timea , URCAN, Adriana , MARGITAS, Liviu Alexandru , DEZMIREAN, Daniel Severus , BOBIS, Otilia . "Correlation Between Chemical Composition and Antibacterial Activity of Propolis from Different Locations in Transilvania". 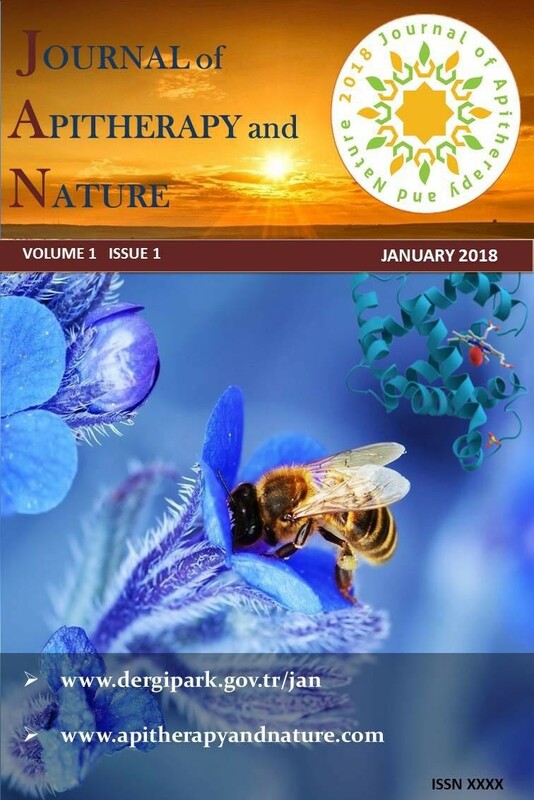 Journal of Apitherapy and Nature 1 / 3 (December 2018): 81-81.